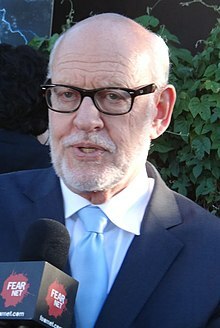 Frank Oz (born Frank Richard Oznowicz; May 25, 1944) is an American actor, puppeteer, director and producer. His career began as a puppeteer, where he performed the Muppet characters of Miss Piggy, Fozzie Bear, Animal, and Sam Eagle in The Muppet Show, and Cookie Monster, Bert, and Grover in Sesame Street. His work as a director includes Little Shop of Horrors (1986), Dirty Rotten Scoundrels (1988), What About Bob (1991), In & Out (1997), Bowfinger (1999), The Score (2001), Death at a Funeral (2007), and an episode of the US TV series, Leverage (2011).